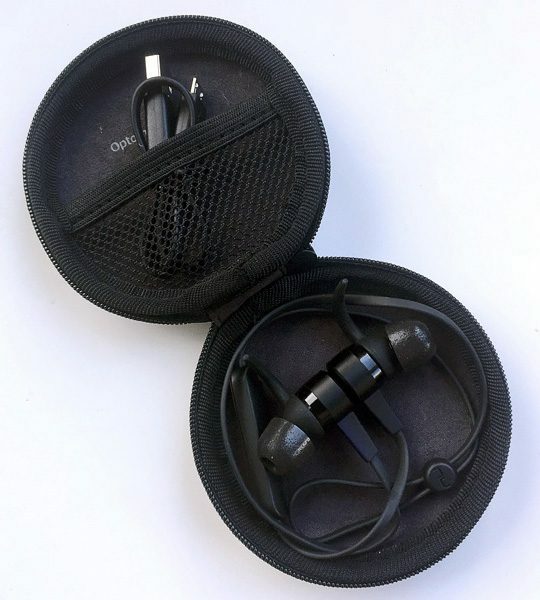 REVIEW – We’re big fans of wireless earphones ’round here at The Gadgeteer, and every of us have reviewed many pairs, myself included. I’m always on the lookout for a pair that is moisture-proof and durable enough to survive my fairly rigorous workouts. 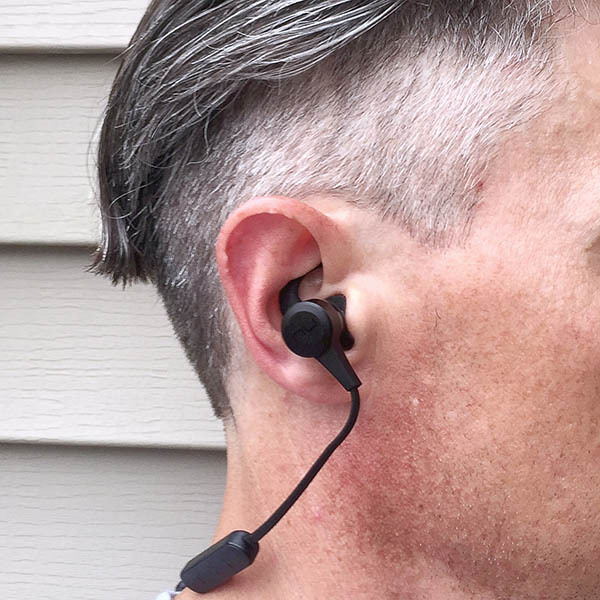 Having reviewed a few pairs of Optoma NuForce Bluetooth wireless earphones in the past, so when Julie offered me the opportunity to try out a pair of Optoma’s latest, the NuForce BE Live 5, I was pretty excited. Let’s check ’em out! Gadget on! 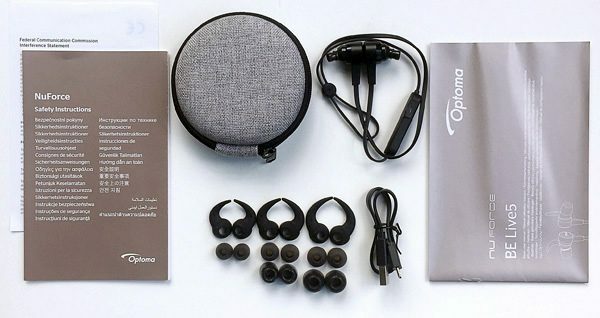 The Optoma NuForce BE Live 5 wireless earphones are Optoma’s latest generation of Bluetooth wireless earphones that feature lower-profile earbuds, stylish design, moisture resistance, long battery life, and other features. 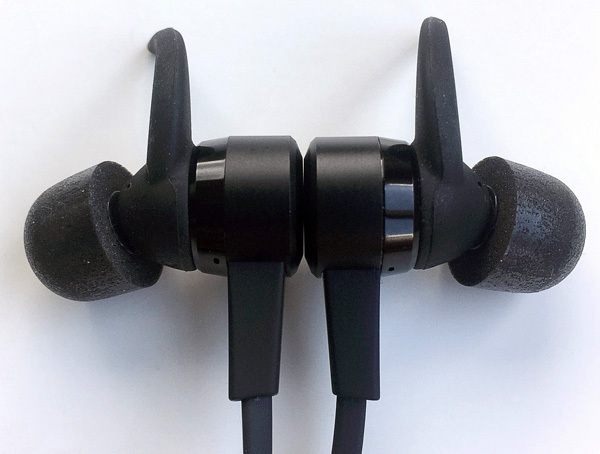 As pictured above, the BE Live 5 includes multiple styles and sizes of ear tips to give the user plenty of options to fit their ears and their preferences. 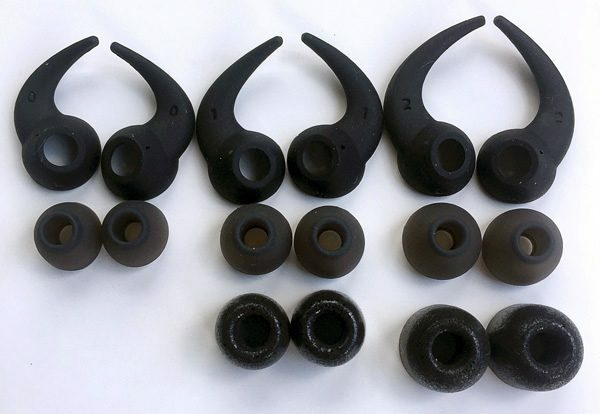 Along the top row are small, medium and large sizes of silicone “earwings” used to help retain the earbuds in your ears, the middle row are small, medium and large sizes of silicone earbud tips, and the bottom row are medium and large sizes of Comply foam tips (more detail in the photo below). 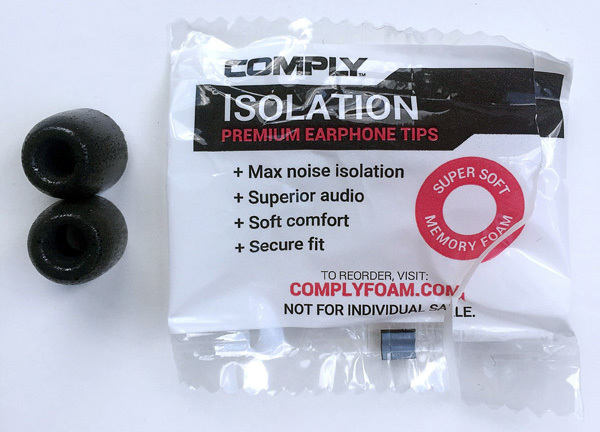 The Comply Isolation tips are made of foam and provide a bit more ambient sound blocking than the silicon tips. They work best when squeezed and compressed down a bit, placed in the ear, then allowed to expand to conform to the ear canal. The photo above illustrates the setup that I used most for this review, which included the medium size “earwings” and the large size Comply foam tips. 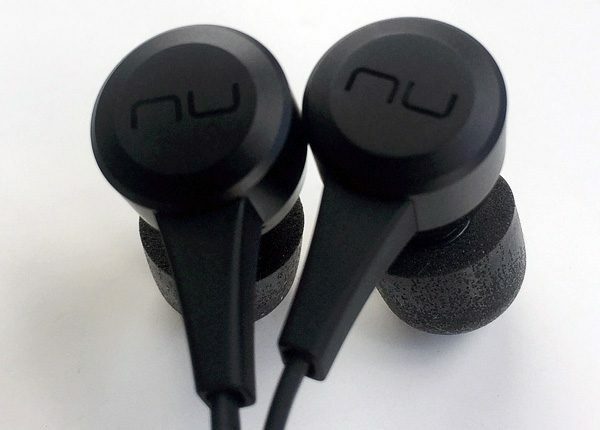 The NuForce BE Live 5 casings are made of aluminum and polycarbonate and Optoma has done a good job of reducing their size and mass from previous designs so that they are less likely to fall out of your ears due to their weight. In addition, their drivers include 8mm magnets that are 30% larger than other earphones which help produce clearer sound. Optoma also claims IPX5 water and sweat resistance, and in practice, I found that even with my waterfalls of sweat during workouts, it never failed (at least in a way that would attribute to moisture of any kind). In fact, I wore the BE Live 5 for a run in a light rain one day, and they were unaffected. 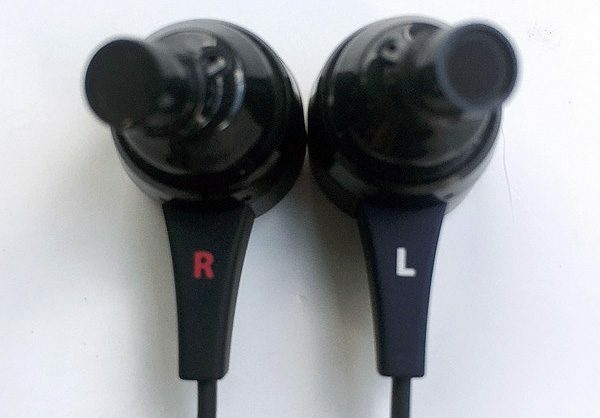 A simple feature that I noticed and liked immediately was that Optoma marked the “Right” and “Left” earbud brightly and in different colors, which make these marking much easier to read quickly. 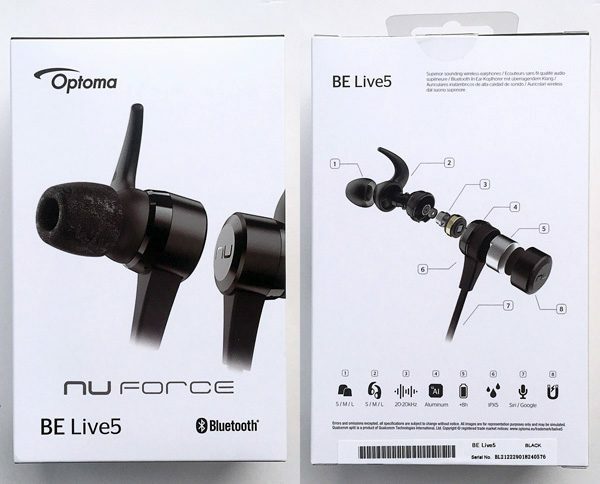 As with Optoma’s previous NuForce products, the BE Live 5 have magnets embedded into the back of the casings such that they magnetically stick to each other. This can come in handy if you are wearing them and want to remove them from your ears for a moment but not set them down somewhere (and perhaps misplace them). 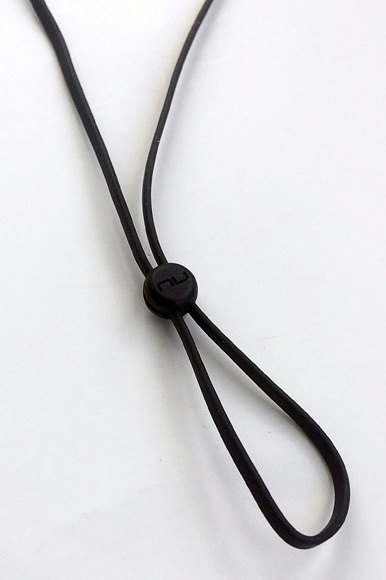 You can just place them around your neck and let the magnets clasp together, turning the BE Live 5’s into a sort of necklace. 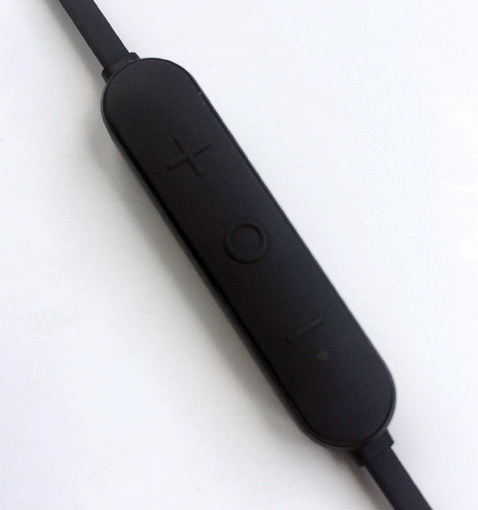 The BE Live 5 have an inline remote that is used to control its function. 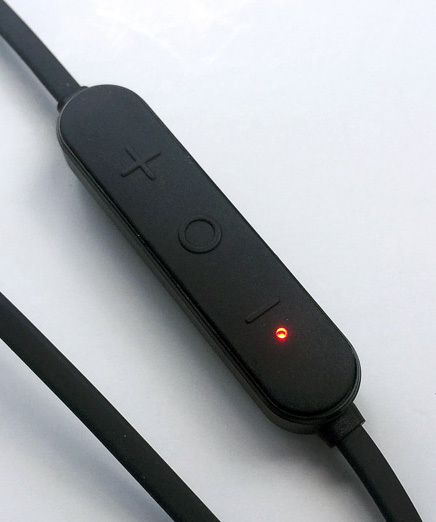 It’s a simple design that has three buttons, +, O, and -. Each of these serves various functions such as song advance or rewind, volume up/down, phone call answer/hang up and so forth. Pairing with my phone was simple, and I should also mention that the BE Live 5 are capable of being paired with multiple devices, such as a phone and a laptop. The side of the inline remote has a small cover with a lightning bolt symbol on it. This cover protects the Micro USB charging port, as shown below. 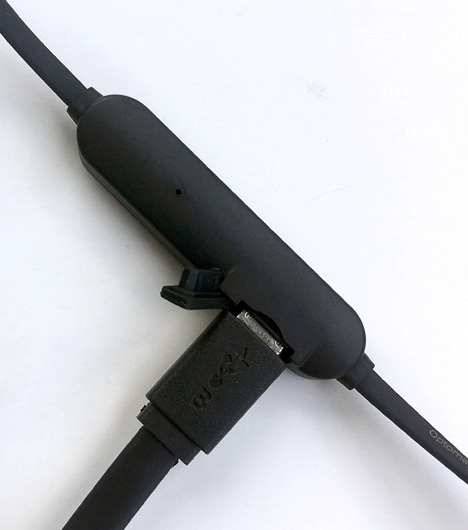 Above, the included Micro USB cable is shown plugged into the BE Live 5’s charging port, with the charging port cover carefully rotated to the side. The cover is a bit fragile in this position, so beware of it breaking off. Also seen in the image above is a tiny hole for the BE Live 5’s microphone, which enables phone calls or voice commands (as through Apple’s Siri or “Hey, Google”). Regarding battery life, Optoma touts that it takes 2.5 hours to fully charge the BE Live 5, giving a full 8 hours of use, and I’d guess this is roughly accurate. I was able to use the BE Live 5 for 4 or 5 workout sessions of about 1.5 hours each. Above, the tiny LED is shown in red when the battery is charging. Above, a tiny blue light is shown illuminated on the inline remote, indicating that the BE Live 5 is fully charged. 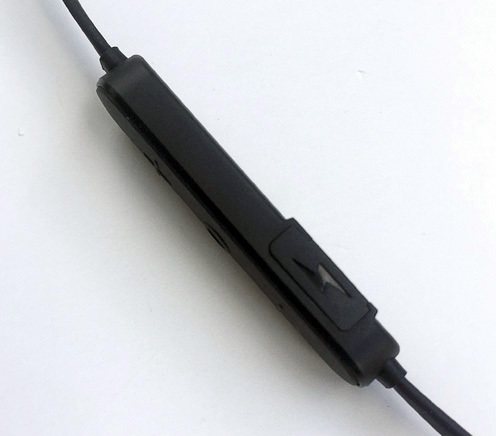 As do many similar wireless earphones, the BE Live 5 includes a small Cable Loop that holds the cable together and can be used to tighten the headphones up and better stabilize them against your head. The Optoma Nuforce BE Live 5 includes a clamshell-style storage case made from a molded foam with a zipper closure. The outside of the case is covered with a gray fabric that gives is a classy look and feel. There is a small mesh pocket on one of the inside halves of the case where I placed the included Micro USB charging cable. 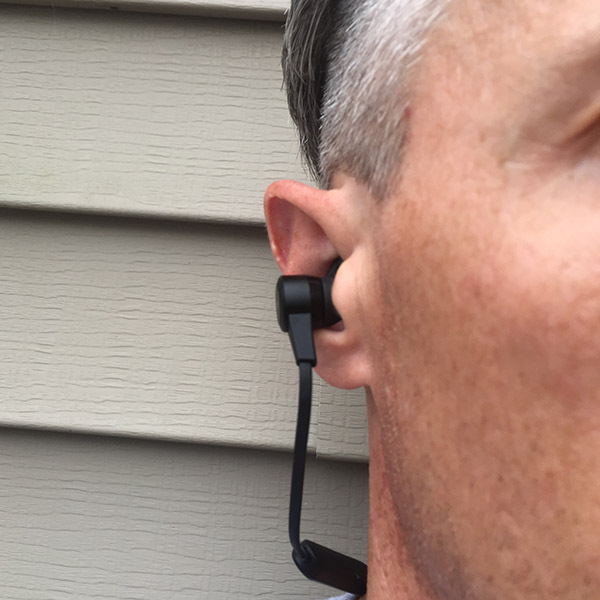 The BE Live 5 fit well in my ears, especially with the Comply foam tips, and the “earwings” did help to keep them secure, even during activities. However, between my apparently large ear canals and my likely higher than average intensity workouts (which generate a ridiculous amount of sweat), the BE Live 5 tips, did not stay put in my ears. I’ve given up being critical of wireless earphones for this, because I think I am a pretty extreme user, but bear this in mind if you have extremely large ear canals and/or work out to the point of profuse sweat production and motion. Above, you can see that the BE Live 5 do stick out of the ear a bit, but I think they are lower profile than other wireless earphones that I’ve tried. Now, how about their sound? I really liked the Optoma BE Live 5’s sound, especially with the Comply foam tips, which I think help keep the ambient sound out and the intended sound in. They don’t have super deep bass, but in this geometric size and shape, I wouldn’t expect that. 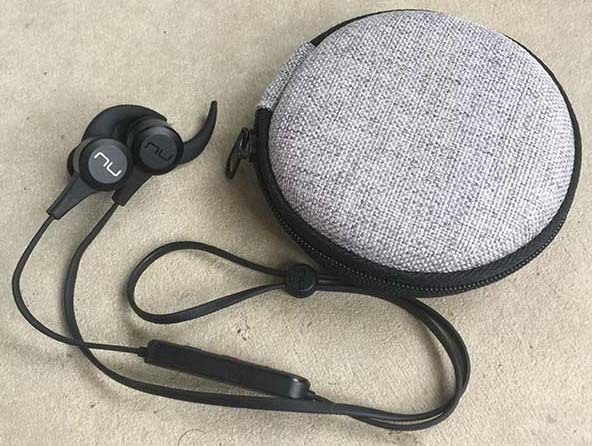 However, Optoma has done a really good job of improving the sound quality of each of their successive wireless earphones and the BE Live 5 represents their state of the art. 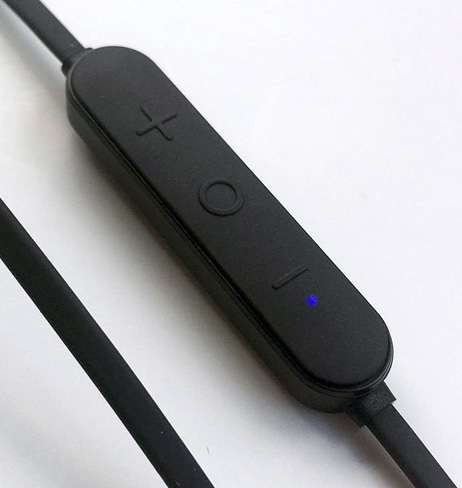 I really like these Optoma BE Live 5 wireless earphones. Optoma has done well with continuing to improve their product designs, and the BE Live 5 represents their state of the art. 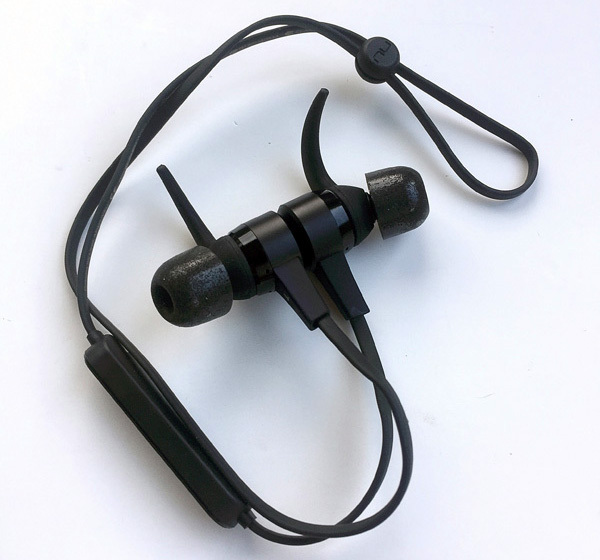 Their styling is top notch and incorporated into this are lighter weight, lower profile earbud pieces that stay in your ear better and the multiple tips and ear wings help the user customize their comfort level for their preference. Their battery life was impressive at somewhere between 6.5 and 7.5 hours for me, and their sweat and moisture resistance is solid. Their sound is clear and sharp. I still feel they are a bit pricey at their $99.99 retail price, but if you can manage to find them on sale for any kind of a discount, they are worth a serious look (and listen). Source: The product sample for this review was provided by NuForce.